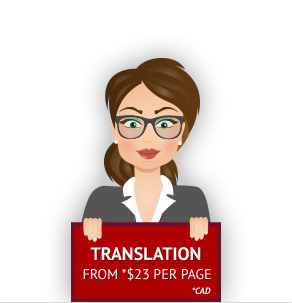 Get a fast and free quote from Canada's 1st online document translation agency. All your translation needs are met with Worldwide Express, specializing in fast paced, high quality document translation services that put you in the know. Our work seamlessly transcends language barriers, putting the world at your fingertips, and making your job worry free. Jump on board now; our translators are waiting for you. We cover all major languages. In a multilingual world, great translation services are paramount. Whether you need a medical record translated into French, or legal transcripts translated into German, we’re eager to create an experience that will fulfill your expectations, and put you at ease. You need work done, and you need it now. We offer fast paced, error free, result driven work. You’ll get the best quality product, all in record time. We don’t miss a beat. An industry expert, carefully chosen for their skill, experience, and artistry, will complete the translation of your documents. We employ a highly qualified team of translators, who specialize in medical, legal, business, marketing, website, and technical document translation services. These professionals provide a wealth of experience in each industry, with a flawless record of translating in fast-paced marketplaces. We guarantee 1-4 pages within 24 hours, 5-9 pages within 48 hours, and exceptional time quotes for documents over 10 pages*. No more trekking to an office, no more waiting on the phone. We know you’re on deadline. Our online service makes life easy for companies in Calgary, Alberta and all across Canada. We are the first web-only company in Canada, so all you have to do is send your document our way, and we’ll complete the translation process and return flawless results. For a quote, simply send us the document, and we’ll immediately respond with the project rate and time frame. 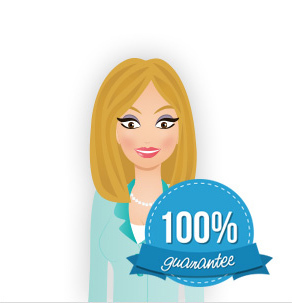 We offer 100% confidentiality, and pride ourselves on the long-term relationships we build with our clients. Imagine the bliss of online translation services, giving you expert results without any hassle. You’ll get fast turnaround, error-free work, and all at our convenient rates. Our no frills operation allows us to keep prices low and quality high; making you the central focus. Our specialists will tailor each document to your needs; providing culturally appropriate work that retains every detail. The world’s international marketplace gives you endless business opportunity, but it also presents countless language barriers. Our goal is to bring the world into focus, bringing you comprehensive knowledge that gives you the power to step across cultural boundaries. Our clients are international professionals in diverse marketplaces, from business to cardiology, law to computer science. Each client counts on our expertise to keep their workplace smooth, meet their deadlines, and strengthen their business relationships. The world moves fast, we help you keep up. Medical Translations have never been clearer; we cover everything from medical records, to research articles. Legal Translations cover transcripts, records, and account files. Your court case is safe with us. Business Translations: your letters, contracts, and corporate meeting notes will be thoughtfully translated with your intentions in mind. Marketing Translations: for your marketing success, your sales copy, newsletters, and brochure content will sell in any language. Website Translations: your website will be equipped with all the latest online trends in your desired language. Technical Translations: from the newest technology, to the most recent developments, our technical translators have the knowledge. Your document’s details are important, and our expert translators specialize in maintaining the intention and style of every page that passes through our hands. Remember, you’ll have access to our expedited online process. This means that translations happen faster, and more accurately than in traditional office-based practices. We leave our competition in the dust. The downtown region of the city consists of five neighbourhoods: Eau Claire (including the Festival District), the Downtown West End, the Downtown Commercial Core, Chinatown, and the Downtown East Village (also part of the Rivers District). The commercial core is itself divided into a number of districts including the Stephen Avenue Retail Core, the Entertainment District, the Arts District and the Government District. Distinct from downtown and south of 9th Avenue is Calgary’s densest neighbourhood, the Beltline. The area includes a number of communities such as Connaught, Victoria Crossing and a portion of the Rivers District. The Beltline is the focus of major planning and rejuvenation initiatives on the part of the municipal government to increase the density and liveliness of Calgary’s centre. Adjacent to, or directly radiating from the downtown are the first of the inner-city communities. These include Crescent Heights, Hounsfield Heights/Briar Hill, Hillhurst / Sunnyside (including Kensington BRZ), Bridgeland, Renfrew, Mount Royal, Scarboro, Sunalta, Mission, Ramsay and Inglewood and Albert Park / Radisson Heights directly to the east. The inner city is, in turn, surrounded by relatively dense and established neighbourhoods such as Rosedale and Mount Pleasant to the north; Bowness, Parkdale and Glendale to the west; Park Hill, South Calgary (including Marda Loop), Bankview, Altadore, and Killarney to the south; and Forest Lawn / International Avenue to the east. Lying beyond these, and usually separated from one another by highways, are suburban communities including Evergreen, Somerset, Country Hills, Sundance, Riverbend, and McKenzie Towne. In all, there are over 180 distinct neighbourhoods within the city limits.